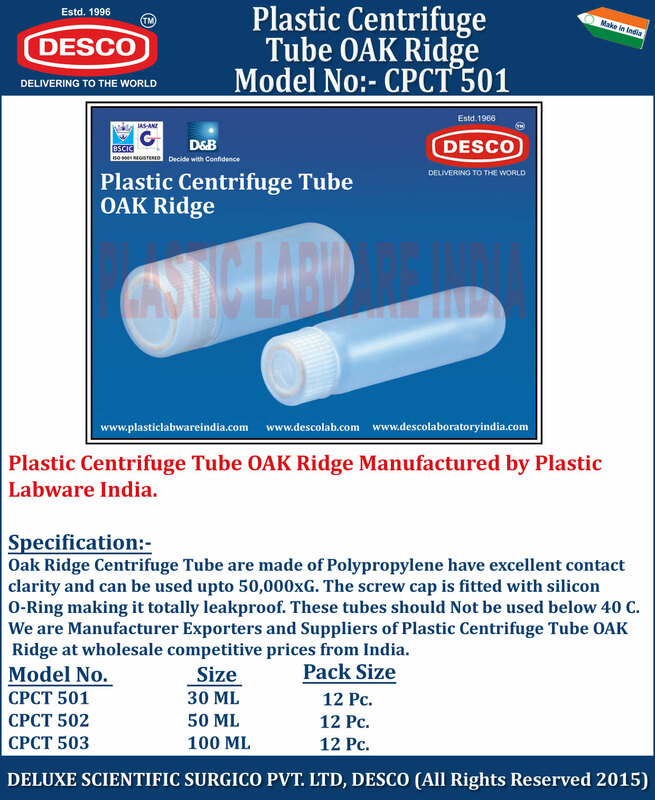 Oak Ridge Centrifuge Tube are made of Polypropylene have excellent contact clarity and can be used upto 50,000xG. The screw cap is fitted with silicon O-Ring making it totally leakproof. These tubes should Not be used below 40 C.
We are Manufacturer Exporters and Suppliers of Plastic Centrifuge Tube OAK Ridge at wholesale competitive prices from India. CPCT 501 30 ML 12 Pc. CPCT 502 50 ML 12 Pc. CPCT 503 100 ML 12 Pc.